Crystal Bloom, a pure and charming bouquet. Crystal Bloom Snow, as clean and beautiful as snow. Crystal Bloom Aurora Dream, as captivating as an aurora. Crystal Bloom Blessed Love, sparkling like excitement. enthralling all who encounter them with opposing traits of translucency and sweetness. These perfumes have now been transformed into hair fragrances. wrap your precious locks in the scent of lovely flowers. with designs that entrance and satisfy the heart. Let your own allure bloom softly when your hair rustles in the wind. 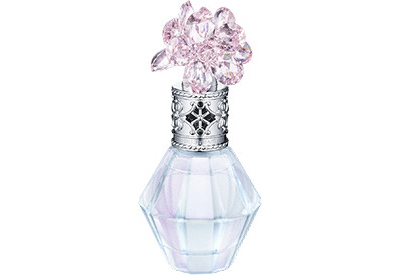 The top note is a crystal pure floral note, woven from refreshment and charm. The delicate sweetness of sweet pea and snowdrop create a gentle fragrance, while neroli and orange bring out unlimited translucency. The middle note is a crystal floral note, spreading wide, fragile yet full, like a scattering of lovely flowers. The clean, dignified white flower, edelweiss, brings with it a clear fragrance and sparkle, with the gentle fragrance of delicate flowers enveloping you in clear comfort. The door to the end note is opened by the original Tulle Accord*, bringing depth to the entire fragrance with a powdery, sweet veil, inviting you into a world of pure, unsullied sensations. A crystal sensual note with an appealing fragrance that offers both translucency with depth. A complex mix of lovely flowers blend with the musk, recreating the gap between a girl and a woman. 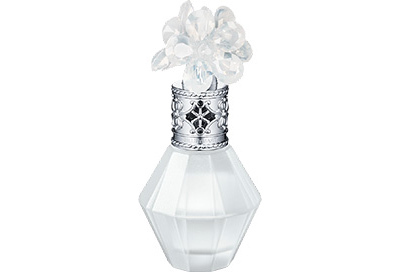 The most elegant and clean fragrance in the world. The top note is a clean floral note that speaks of charming flowers wreathed in snow. The elegant fragrances of sweat pea and snowdrop resonate with the sparkle of snowy crystals, fostering a refreshing and clean feeling. The middle note is a snow floral note, like snow crystals carrying flower fragrances as they melt in the sunlight. Led by the sparkle of infinitely translucent muguet, a clean fragrance comfortably envelops you. The end note is a crystal powdery note, with soft and delicate snows leading you into an illusory world of dreams. The gentle fragrance of white iris depicts the powdery feeling of snow, fostering a sweet and elegant warmth. The most refreshingly sweet fragrance in the world. Like fragrant flowers gently swaying in the light of the aurora, the most refreshingly sweet fragrance in the world. The top note is mellow floral, like a night breeze across a flower field, the blossoms gently dancing and providing a comfortable, pleasant fragrance. Pear, peach and pineapple bring the fragrance the refreshing transformation of softly stirring flowers. The middle note is aurora floral, as the mystical sparkle of the aurora envelops a field of flowers in its light. Enveloped by the aurora, the queen of the night starts to bloom, unleashing its wonderful sweetness. The translucent fragrance of peony depicts the way the aurora sways, and the transformation that its light brings. The end note is dreamy floral, striking that miraculous moment in which the sweet, elegant fragrance of flowers resonates with the illusory aurora. 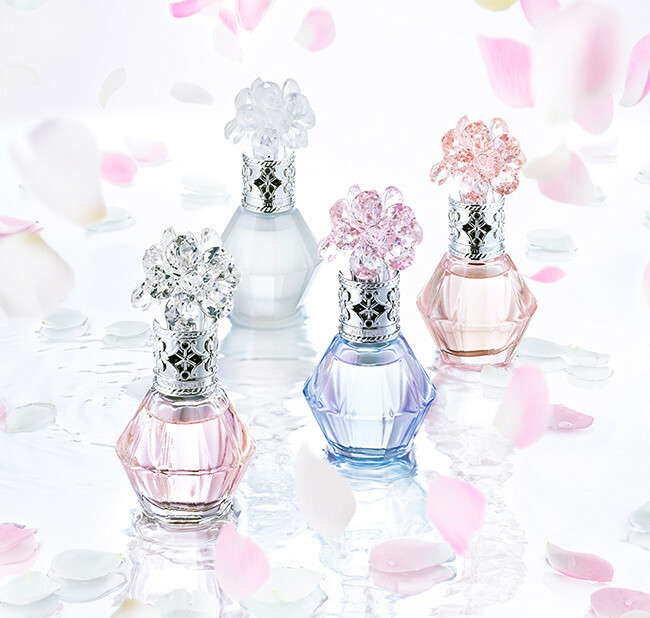 The fragrance changes woven from the gentle sweetness of the aurora accord and osmanthus and the intricate tulle accord depict the gentle light of the aurora and a field of flowers as they overlap for an eternity. A gorgeous fragrance like the most exciting moment in the world. Like the way your heart pounds the moment love begins, a gorgeous fragrance like the most exciting moment in the world. The top note is a pure fruity note, representing how love at first sight makes the heart race. Violet green and hyacinth green evoke a sense of freshness, the purity of a girl and a feeling of excitement. The middle note is a pure floral note, like a pure love and earnest heart whose efforts bear fruit. Fresh peony and vibrant rose create a lovely and innocent impression, like the first love. The well-bloomed rose fragrance recalls the feeling of love coming to fruit. The end note is a pure musk note that fills every day with romance. Cedar wood and musk createa sweet and pleasant fragrance. Benzoin imparts a depth like the sweet richness of vanilla, wrapping you in a blessed euphoria.